Hoyle Casino 2010 brings a certain casino feel to the Mac, but comes up short in some categories. With 3D tables and faster gameplay, we'll take an in-depth look at Encore's latest gaming offering for OS X to see if it's worth spending $19.95 on (from Macgamestore.com). Since 2000, Hoyle-themed games have been developed by Encore for both Mac and Windows systems. 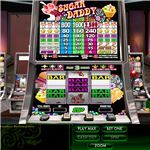 Traditionally, these games have offered some of the most in-depth gambling experiences outside of going to a real casino. An expertly recreated atmosphere combined with a large plethora of games have meant that almost anyone can enjoy a Vegas experience without the expense or hassle of the real thing. 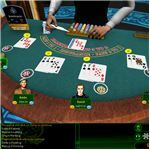 The latest iteration of Hoyle Casino tries to improve upon its predecessors in a bold quest to provide the best virtual gambling experience, and while it may not have all the lights and glamor of Vegas, it does do a relatively good job of providing a solid rendition of many of our favorite games. This review is divided into three sections: game selection, graphics, and miscellaneous. In the game selection section, we'll explore some of the games offered and how they compare relative to the competition. We'll then turn to an analysis of the graphics and finally review any other miscellaneous factors that influence the review. Encore has done quite well at ensuring that virtually any game one could find in Vegas is included in Hoyle Casino 2010. From blackjack to craps to baccarat, each game has been faithfully recreated with all the rules matching identical to that of a real casino. While the vast majority of games have been designed quite well, we'll examine three types of games: 2D table, 3D table, and slots. 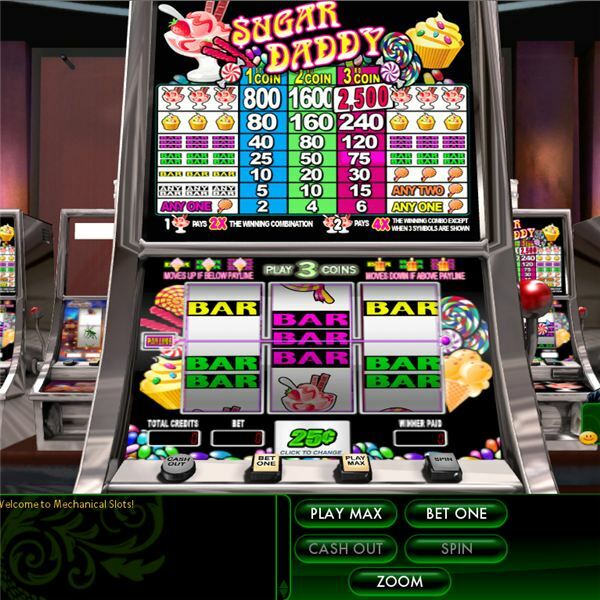 2D table games, such as craps, provide a mediocre experience when compared to the amount of detail that Encore definitely put on creating the 3D games. For example, the graphics in the craps game are clearly too narrow and the betting system is highly awkward. You can place a bet anywhere on the table, so if you bet on the pass line, you're not restricted to placing your bet straight in front of you. Instead, you can place your bet in front of a computer player or anywhere else you'd like. Unfortunately, the computer players love to place their bets anywhere on the table, as you can see from the image to the right (if you look closely there are two bets to the left of mine). This naturally leads to many "is that my bet?" 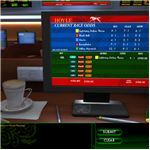 scenarios where you'll have to hover over people's bets to see which ones are the computer's and which are your's. 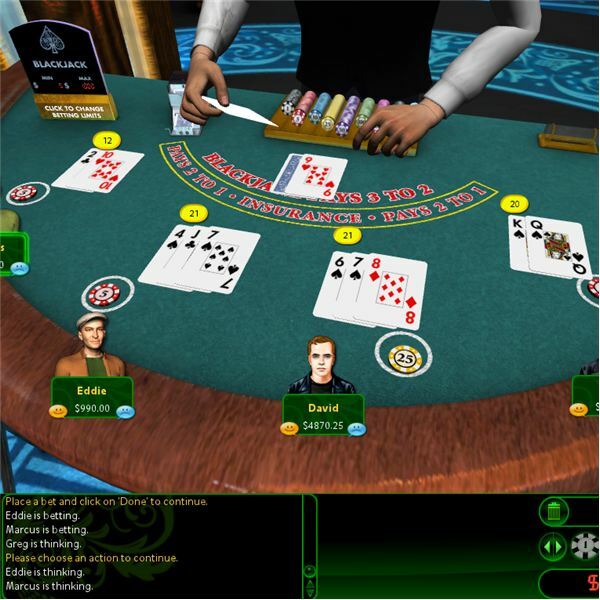 Roulette is a semi-3D game (the table is portrayed to be 3D, but the perspective fixation makes it look very 2D) and it suffers from many of the same problems. It's clear that Encore didn't put much thought into making the bigger table games as pleasant as the 3D ones. While the 2D games aren't particularly good, the 3D ones are absolutely astounding. Everything about these games feels completely realistic, from the way the cards are dealt to the rules themselves, Encore has created an experience that is unrivaled by all other casino games. With the player chatter turned on, there are many times when it feels very much like I'm sitting at a real blackjack table. 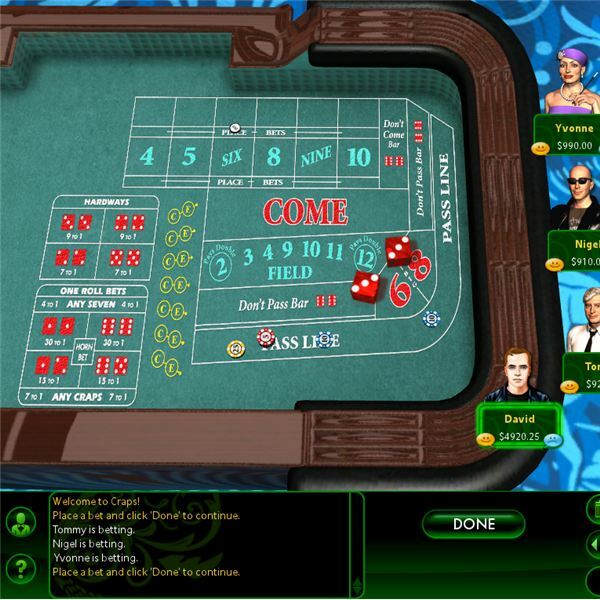 All the players place their bets and then the dealer is actually animated to be dealing the cards, as can be seen by the image on the left. To provide a good example of the attention paid to the 3D games, consider the betting limit sign. In previous versions of the game, you'd select a table limit that you wanted - be it $5, $10, etc. However, in this version of Hoyle Casino, you can simply click on the sign to adjust the betting limits which are then displayed as they'd be in a real casino. This is a little detail, but its certainly one that adds to the realism. I've always been a little disappointed that Hoyle could never get licenses from the different slot companies to offer more faithful recreations of some of our casino favorites (Double Diamond, anyone?). Hoyle Casino 2010 is no exception to this. Still, it's clear that the developers have put a lot of time and effort into making the ficitious slots look and play their best. They're rendered in 3D, and there are an incredibly high variety to choose from, including standard 3-reel, 3-reel with 5 paylines, the more wacky game slots, and so on. Virtually any kind of slot, video poker, or video blackjack has been included in this version of the game. For those who haven't played Hoyle Casino before, it's also worth mentioning that the slot machines do not have adjustable payouts. So, much like a real casino, when you go to a slot you don't know what its payout percentage will be. The help manual in Hoyle gives payout ranges as high as 97% and as low as 85%, so I suspect the computer just randomly chooses a percentage between these two. All in all, the selection of games is quite high. 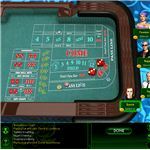 Although some games aren't designed perfectly, it becomes very clear, very quickly that there's something that everyone will like in Hoyle Casino. Given the scarcity of gambling games on the market, I'm inclined to say that the positives vastly outweigh the negatives here and give this section a four out of five. The graphics in Hoyle Casino 2010 are absolutely astounding when compared to other casino games. Blackjack, baccarat, etc. have all been rendered in very impressive 3D that accurately models the real games. Instead of a fixed top-down perspective, you're looking at the tables as if you really were playing the game. Although the models used certainly aren't Halo 3 quality, they certainly suffice for this type of game. You can see the blackjack dealer dealing the cards, the chips look fine, and the table/surroundings very closely mimic that of a real casino. Many times, you'll appreciate the added touches of realism (such as the limit signs discussed in the previous paragraphs) and find it easy to forget that this is just a video game. 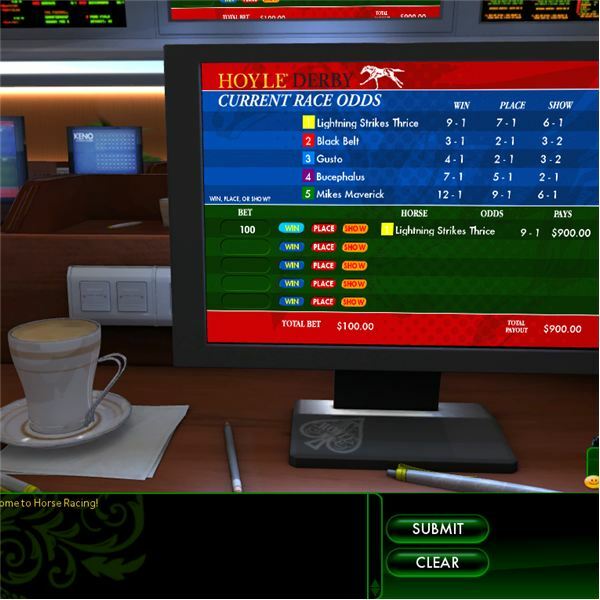 A perfect example of the graphics is what the developers have done with the horse racing game. Users of old Hoyle versions will remember the cheesy looking stick horses going around a track. However, the horse racing in the 2010 version is actually not too bad as one can watch the horses run properly. In addition, the developers have taken the time to develop a nice lounge so that you're "watching" the race on your own TV screen. While some of you might be looking at the screenshot on the left and thinking "that's special? ", I think much of my appreciation for the graphics has not to do with their high quality, but more with their inclusion in the game. A nicely rendered horse racing lounge mimics the feel of betting on horses at a real casino. Here's the part where I kind of tweak the review to give it a feeling more comensurate with the total experience. For starters, as I've stated above, the game itself has a lot of positives with its awesome 3D atmosphere and it also improves on a few things that users of older Hoyle versions will greatly appreciate. However, the question is, do these improvements actually justify a purchase? Remember, these games are the same as before - I mean blackjack is blackjack whether or not it's played with fancy graphics. In addition, Hoyle says that they've just added five new games this year, which might make some question the upgrade as well. It's for this reason that I've made my miscellaneous section a 3 out of 5. That brings the total score to 11/15 or 73% which I feel is a much more accurate score for this game. Sure there are some improvements, but its hard to argue that they're so important that an upgrade is necessary. As for what you should do, well, I'd definitely say that it highly depends on what version you're using now. If you're on an older 2D version and enjoy the wide variety of games that Hoyle provides, then my advice would be to take the $20 plunge and get 2010. However, if you're on another 3D version and are enjoying it, my advice would be to hold off, because there's really not much new to see here.